BIAFRA: IT PROFESSIONALS NEEDED URGENTLY: CYBER WAR ACTIVATED! This is to notify the Indigenous people of Biafra IPOB worldwide, that we are in urgent need of professional IT personnel who are capable of fighting and sustaining the cyber war unleashed upon IPOB and her facebook account. We need only those who are committed and willing to serve our dear nation; Biafra, with their IT knowledge and skill. Recall yesterday that our RADIO BIAFRA LONDON facebook group account was hacked down by the Nigerian government in collaboration with CEO of facebook, Mark Zuckerberg. As at the time of writing this report, the facebook account is still under attack and every effort made to restore it has proved abortive. It was discovered that some professional hackers working for the Buhari-led government are behind it, and that the hackers are currently attacking us from Lagos. Efforts made to contact facebook so as to ascertan the cause of event met brickwall as Zuckerberg and his team has failed to respond to our letters, indicating that they are complicit in the quagmire. However, the battle line for CYBER WAR has been drawn and if we are truly Biafrans, we must act fast. 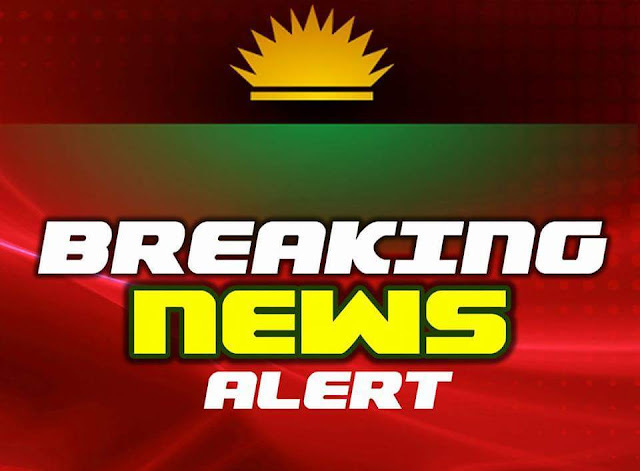 While trying to retrieve the account, it was discovered that the intention of the hackers was and is to delete every IPOB brethren from RBL facebook group entirely, and as such there is an urgent need to prevent that from happening. We are calling on Biafrans and friends of Biafra who are technologically inclined to indicate and heed to this urgent call of meeting our enemies head on. Buhari wants to silence us, his intention is to create another media blockade like they did during the 1967-70 civil war between Nigeria and Biafra, he does not want the international community to be aware of his reign of tyranny towards Biafrans. But we must not let that happen, because media is key in our efforts to restoring Biafra. NOTE: It is strictly voluntary service. But! That is evil of this American born Mark Zuckerberg! He has in deed soiled his image, name and reputation. Biafrans should boycott this American evil plotter Mark Zuckerberg and his business completely!!! Have you ever thought of learning how to trade and be successful from it? Google Superior Trading System they will help you how to do it and be great at it.